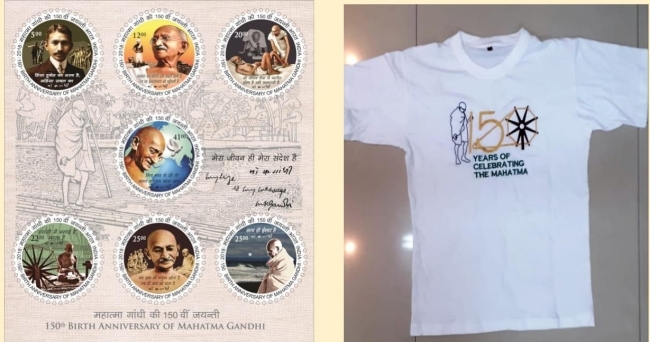 Special Commemorative Indian Postal stamps issued by the Posts and Telegraphs department of the Government of India was released at the event. A specially created video hymn/song - Vaishnav Jana To Tene Kahiye (rendered by singing duo from Angola) was screened on the occasion - drawing appreciative applause from the audience. The video of Mahatma Gandhi's favourite hymn was recorded as a tribute to the Mahatma and was jointly sung by Mr. Eduardo Antonio Mabeki (Leader of the Charismatic Group) and Mr.Joao Beny Knemu (Lead Vocalist) A short documentary film on Gandhi, titled 'Mahatma -- A Great Soul of 20th Century' was also screened as a finale to the event. 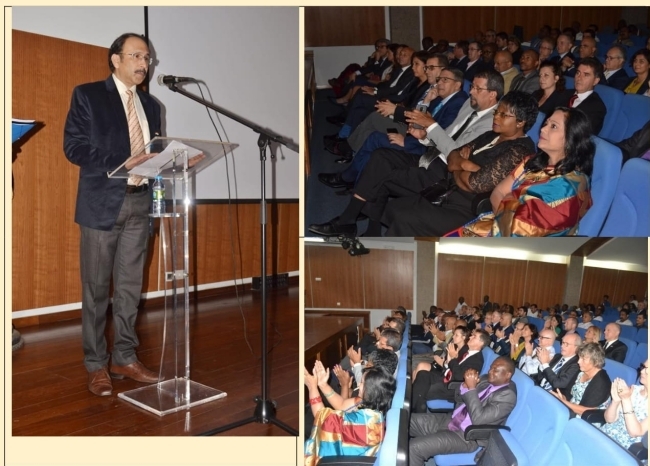 As part of commemoration of the 150th birth anniversary of Mahatma Gandhi, the Embassy of India arranged a LED projection on a big screen on one of the facade walls at the historic Fortelezza Militar Museo in Luanda on the evening of 2nd October 2018. 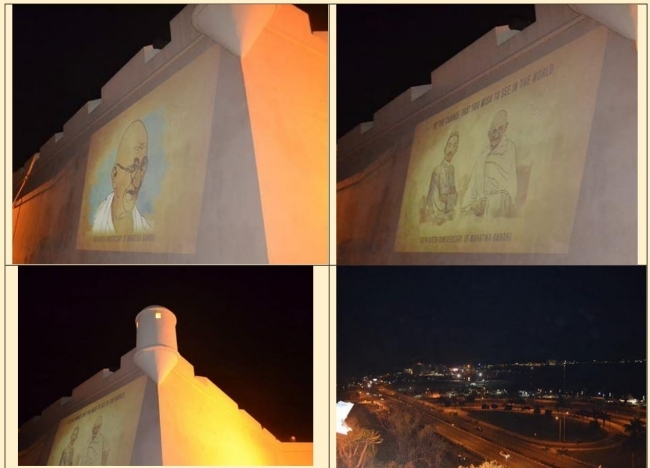 The LED projection, which showcased messages and discourses of Mahatma Gandhi, was visible from the Marginal road and the seaside walkway overlooking the western Luanda coast of the Atlantic.